Yesterday’s gift guide brought about a discussion at the office about giving and getting presents. Giving tools as presents can be tricky: how do you know if what you’re giving is what they need, what they want, or is any good? We can’t help you with the first two, but we can offer some guidance on the last one. While the no-name socket set may have 250-pieces and cost half as much, it is not Craftsman. How do you decide which set is right for your giftee? What happens if a piece breaks or fails? With the 150-piece Craftsman Mechanics tool set every piece is guaranteed for life. For. Life. If any piece in the Craftsman set breaks at any time, just bring it to any Sears and get a free replacement. No questions, no hassles. 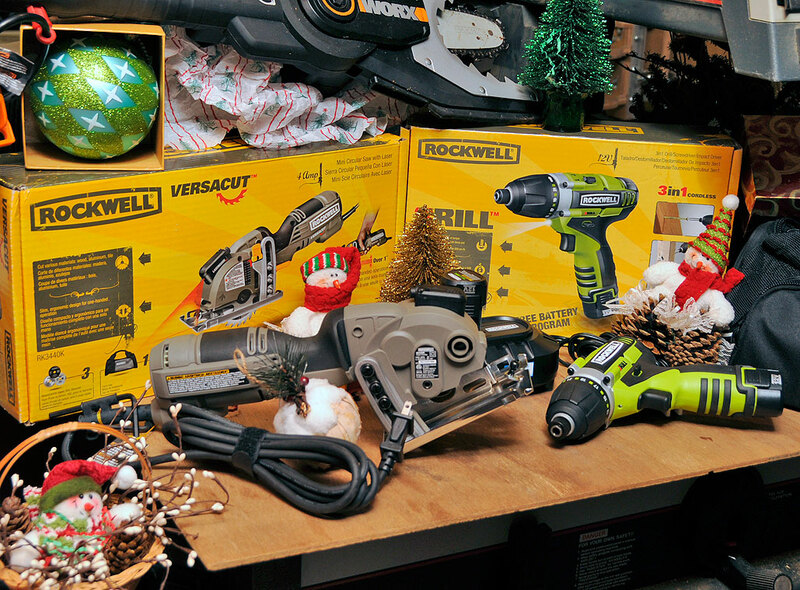 We recommended two Rockwell power tools (VersaCut, 3RILL) yesterday in the Gift Guide for DIY-ers. These tools made the RainyDayGiftGuide list because Rockwell is willing to stand behind their products with a 2-year warranty. Not only is the length of coverage twice the industry standard, the Li-Ion battery of the 3RILL is covered for life! For. Life. Nobody else has anything comparable. And while this may seem like a nice to have, getting a new battery for these tools is not like walking into the pharmacy and picking up an eight-pack of D’s for your train set. No, a replacement Li-Ion battery like this is a little hard to find, and can set you back around $30. The Rockwell battery guarantee will be valued by whomever you choose to give a Rockwell power tool to. Lots of companies make bike locks. Many back up their locks with a warranty, but how many of the warranties also include anti-theft insurance for the bike itself? Kryptonite’sdoes. Of course, with hardened shackles, reinforced cuffs, and high-security cylinders, Kryptonite locks (Kryptonite New York Legend Chain 1590 , KryptoLok w/ 4′ Flex Cable ) are pretty difficult to compromise to begin with. However, if someone did manage to cut the New York Legend’s 15mm link or its 16mm shackle (probably with the aid of a thermic lance) and make off with the bike, the loss may be covered by a $4500 insurance policy. Now that’s protection! Warranties are great to have, but user-friendly design and helpful features are something your gift-receiver can appreciate every time a tool is used. 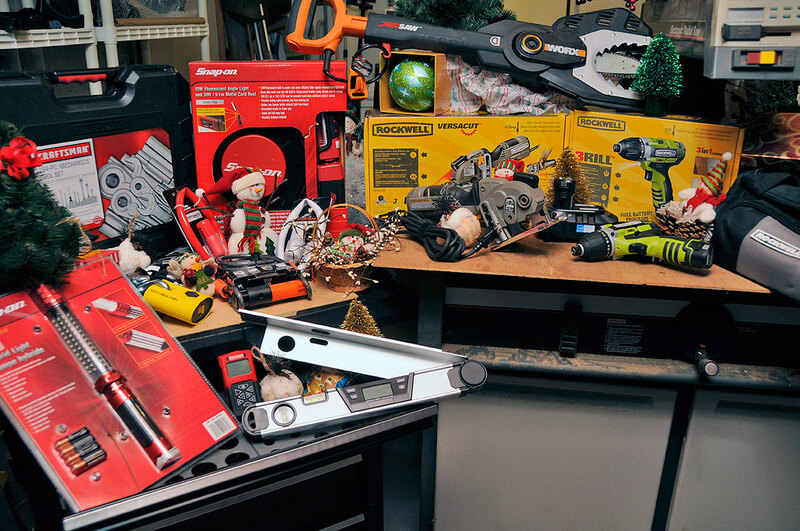 Items such as the Worx JawSaw (safer design), the Craftsman AccuTrac ruler (accurate to 100′), digital angle finder (4 tools in 1), Snap-On Hybrid LED Lamp (bright long-lasting light), and Snap-On Angled light with extension cord are tools which score high on both the design and usability scales. Tools are wonderful presents to give and to get. They make it easier to do things, but what they really do is to let one dream…dream about all the things one COULD do 🙂 Dreaming and doing…isn’t that what it is all about??? NOTE: The Snap-On Hybrid LED Lamp is currently only availabe in Canada and Europe. Not sure when it will show up in the USA, but we are sure that, if/when it is available in the States, it will be a winner. AT&T: Can you hear me now?